This part of the posting focuses on the glory of the tongue. The 5 clips and 1 extract (without audio) for this part have been taken from the Discourses delivered by Bhagawan in the years 1989, 1994, 1996 and 2001. Glory of the Tongue: In Clip-1 Bhagawan extolls the tongue describing its power and various capabilities. In Clip-2 Bhagawan explains how the tongue can be the most important organ and also the most dangerous organ (if misused). In Extract-3 Bhagawan lists a number of virtues of the tongue. Clip-4 gives compares Vibheeshana living amidst the demons in Lanka, to the soft tongue existing amidst the sharp teeth and highlights many lessons from the same. 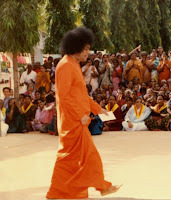 In Clip-5 Bhagawan presents a humorous story of the sense organs going on a strike against the tongue, and eventually realizing the greatness of the tongue. Clip-6 talks about the spiritual journey of the tongue, wherein the words are merged in the mind, the mind in the intellect and the intellect in the Self. Embodiments of Love, through speech one can acquire kingdoms and wealth. With speech you can develop different relationships with friends and relatives. We get bound by speech, become slaves to others and lose our freedom. Death also occurs on account of speech. Speech is the very life for humans. Speech is the backbone of human life. Speech has mighty power. (My tongue! You are fond of sweet things and have the knowledge of discriminating taste; I tell you the highest truth, which is also the most beneficial. O Tongue! You are the knower of taste, you are so dear, you speak the truth also so pleasingly. O tongue, you should never enter into slandering others, criticizing others, or making fun of others. Remember the divine and sweet name of God. Propagate the name of God to others. Speak good words, sweet words. Do not speak in a manner that causes excitement. Speak the truth in a pleasant way. Speak moderately. Unfortunately, today, such sacred, sweet, Divine and novel talk is fast disappearing. That is why the society is restless and bereft of peace. The whole society is confused. O tongue which can recognize all the tastes, O tongue which can speak all sweet words, O honourable tongue, I would use this tongue only for uttering the name of God and not for anything else. I do not like to make such a sacred tongue impure. I will use this tongue only for speaking the truth. I will use it only for speaking sweet words. In the same way, the Bhagavad Gita has also laid stress on truth. The truth must also not be distressing (causing excitement) or unpleasant. Thus the tongue has so many sacred qualities. We must make use of the tongue very carefully. It is because of the tongue again that we get bonded or liberated. It is the tongue that bestows on us permanent happiness and joy. Therefore, among all the sense organs, the tongue is most dangerous and also most significant. 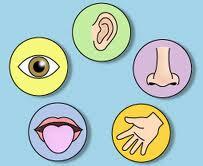 Therefore, we must use all the sense organs very carefully. The tongue is one of sacrifice. When it tastes sweet delicacies, it sends them to the stomach. But if the item is bitter, the tongue at once spits it out. Not merely that, the tongue conducts itself in the most respectful manner. It does not step out of its house (mouth) under any circumstances. It does all its work without crossing its limits. While all other senses do only one work each, the tongue alone has the capacity to do two types of work, namely, to taste and to speak. That is why one has to exercise proper control over the tongue lest it should indulge in sinful activities like talking ill of others. In times of anger, observe silence. Our ancients taught: Talk less, work more. The lesser you talk, the purer your heart remains. (Vibheeshana says) When Hanuman stepped into Lanka for the first time, I appealed to him, “Hanuman, I am living just like the tongue amidst the (sharp) teeth. Lanka is full of great demons. I am living like the soft tongue amidst them. How long have I to live like this? When will I receive Sri Rama’s Grace? When will I get the proximity of that great personality? Every minute, I have been waiting for that moment. O sacred tongue, you are the most sacred one born along with me. The tongue is associated with great virtues. The tongue is so sweet. The tongue teaches the principle of truth. The tongue stands for eternal truth. It is the tongue that decides. It is born along with you. This is the quality of noble souls. The tongue has assumed the form of a noble soul. Around the tongue, the evil, wicked sharp teeth were born later. The evil and wicked ones are waiting wondering how they can trouble the tongue. The teeth obstruct the tongue from coming forward in any matter. But just because of this, the tongue does not forget its duty. When the lips become dry, the tongue looks out for some appropriate time and comes out softly to wet the dry lips. For noble souls, whatever dangers may come their way, whatever dangers may be created by the wicked ones, they being equivalent to the tongue, cool the society (bring peace to society), making sure that it (society) does not get heated up, dried, or destroyed. Therefore, the tongue is verily the form of noble ones. The teeth are the forms of the wicked and evil ones. They will always cause pain to others but will never help them. Once the sense organs of the body got together and made an effort to go on a strike. (They were deliberating thus) We are acquiring all the food and eatables. The food acquired thus is being offered by us to the tongue. The tongue is experiencing the sweetness and all the tastes. It is not helping us in any way. We earn (all the food) and the tongue experiences (all the joy). This is not correct. The sense organs that knew the inner feelings, took to the wrong path. (Truly speaking) The tongue does eat but does not experience. It sends the food to the stomach, converts it into blood, takes it to the heart, makes it pure inside the lungs, and then supplies this blood to all the organs of the body. It does not experience anything for itself. The sense organs, not being able to recognize this daily sacrifice made by the tongue, developed hatred towards the tongue stating that the tongue alone eats everything and it does not give them any joy. The strike commenced. It was decided that no food should be offered to the mouth. “O skin, be careful. O eyes, be careful, O ears, be careful. O nose, be careful”. Normally, any item when seen, the hand moves forward to take it. When the ear hears about any sweet item, the mind desires to acquire that. It was now decided that all the sense organs would stop all their activities. No food was supplied to the tongue for couple of days. Whose was the loss? All the sense organs became weak. The eyes were not able to see. The ears were not able to hear. No words could be uttered. It was not possible to even inhale the breath. The whole body became weak. Then the sense organs felt, Che Che Che (an expression of disgust). Because we supply (food) to the tongue, it in turn supplies all forms of energy to us. Now because we are not offering (food) to the tongue, we all have become so weak. We are causing lot of harm because of our foolishness, selfishness and self-centeredness. They realized that this harm will come back to them in turn. The fundamental among all the sense organs is the power of speech. If one can conquer one’s power of speech, it would amount to conquering all the sense organs. Eating and talking are the tasks that take place through the tongue. 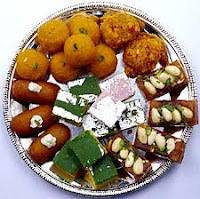 These are also called as Aahara (food) and Vyahara (habit). The human being who gains victory over these two, the principle of such a human being merges in the Divine principle of mind. From then on, the (external) speech will come to a standstill and the mind will start speaking. One would have to awaken the Buddhi (intellect) to shut the mouth of the mind. Effort has to be put to gradually advise the intellect and turn it towards the Atma. True Sadhana consists in merging the speech (word) in the mind, the mind in the intellect, and the intellect in the Atma. In spite of having such a good and royal pathway, human beings, falling prey to the worldly comforts and temptations and forgetting this sacred path, are taking to the sorrowful path of the senses. 01-List the various capabilities of the tongue described by Bhagawan in this part of the posting on the Tongue. 02-List the various misuses that the tongue is put to by mankind. 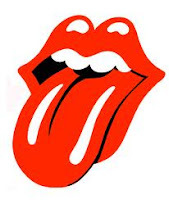 03-What are the various titles and descriptions given to the tongue? 04- Anudvegakaram Vaakyam Satyam Preeti Hitam Cha Yat – What is the source of this verse and what is its meaning? 05-Who was Jayadeva? How does he describe the glory of the tongue? 06-What are the virtues of the tongue listed by Bhagawan? 06-What is the message conveyed by Bhagawan from the parallel that He draws between Vibheeshana living amidst the demons of Lanka and the soft tongue existing between the sharp teeth? 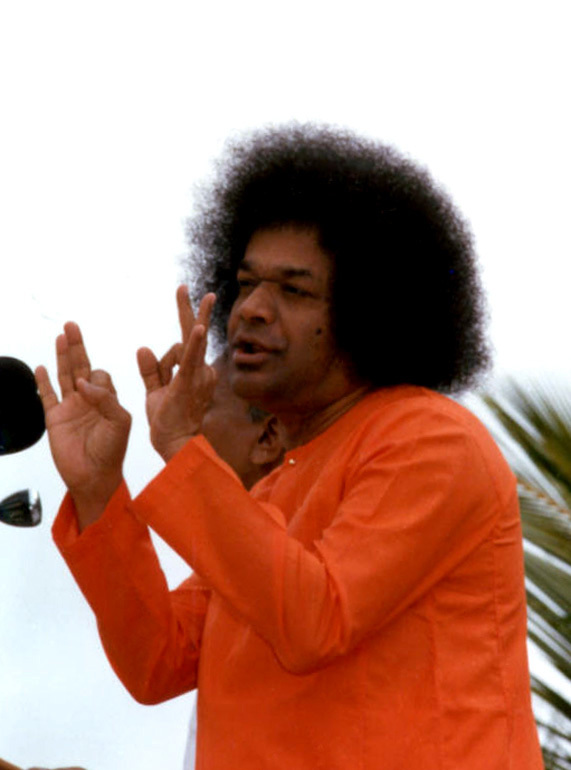 07-How does Bhagawan use the anecdote of the sense organs and the strike to communicate the quality of sacrifice and selflessness of the tongue? 08-What is the spiritual journey that the tongue is required to go through?